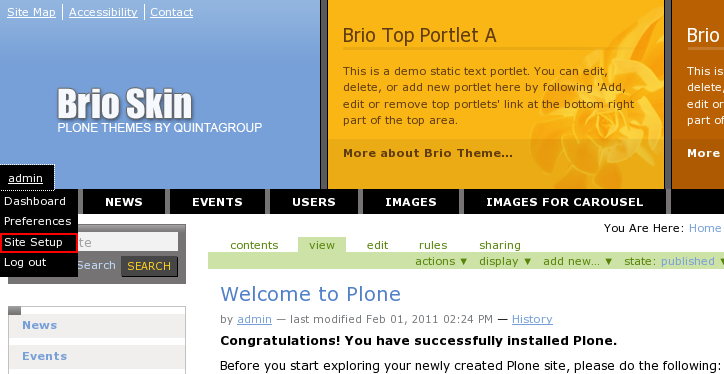 This Plone tutorial will teach you how to customize Brio Plone Theme on Plone 4 site. Here you will find information about how to replace theme company logo, how to fill top areas with new content, how to change the width of columns, etc. 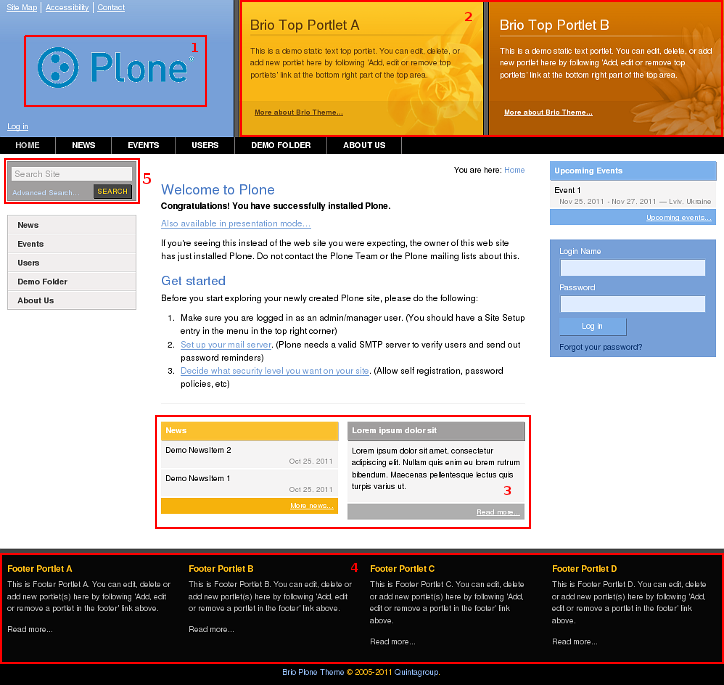 The following tutorial covers customization of Brio Plone Theme on a Plone 4 website. The tutorial consists of six parts, in which you will find explanations about how to customize Brio Plone 4 Theme to your needs. Use the navigation on the right to navigate through all tutorial sections. Open portal_skins catalogue to find brio_plone_theme folder. This is a folder in which most theme customization will take place.